Three weeks ago Piqua High School Freshman Elise Cox had surgery on her pancreas that has been causing her trouble since she was three years old. She has been unable to digest food and produce enough insulin for herself. In 12 years she has had over 25 surgeries and has been hospitalized over 30 times. Her most recent surgery has only been performed only 50 times and Cincinnati Children’s Hospital is only one of two hospitals in the United States that performs this particular surgery that hopefully will put her in a position that will allow her pancreas to digest food and live without abdominal and back pain. In addition this surgery will hopefully allow her not to be insulin dependent. The surgery lasted 14 hours and she is in the middle of her recovery. Cox has to be at Children’s Hospital for eight weeks following the procedure to get her insulin levels correct and to have her recover from this major surgery. 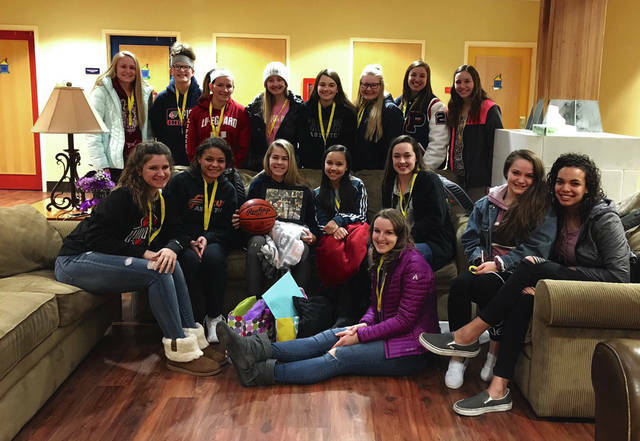 Through all of her struggles, Cox has been very active playing varsity soccer this past fall, and was a starting guard on the varsity basketball team her last game before her surgery on Jan. 7. In addition to her being active she carries a 3.8 GPA and is very active with other school and community groups. To celebrate and encourage Elise through her challenging time and to create an awareness for pancreatitis, we will be hosting a Purple Out on Friday, February 8 when Piqua hosts Sidney in a boys basketball game. 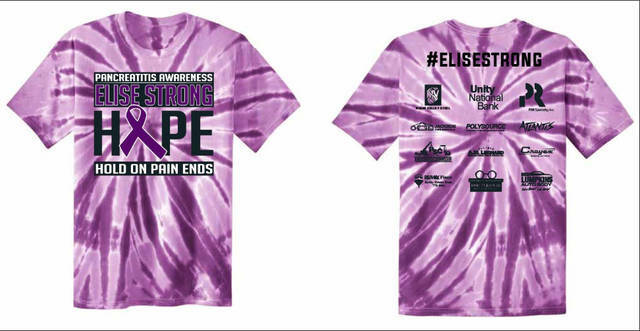 To support Elise we will be selling purple tie-dye T-shirts for $10 in the HS office until they are sold out. If you are interested please email Terry Hess at hesst@piqua.org. Please give your size and school you are located. We can drop them off to you. Please give your money in an envelope to your building administrative assistant when shirts are dropped off at your respective school. Help make this night special for Elise and the Cox family in addition to creating an awareness for pancreatitis.